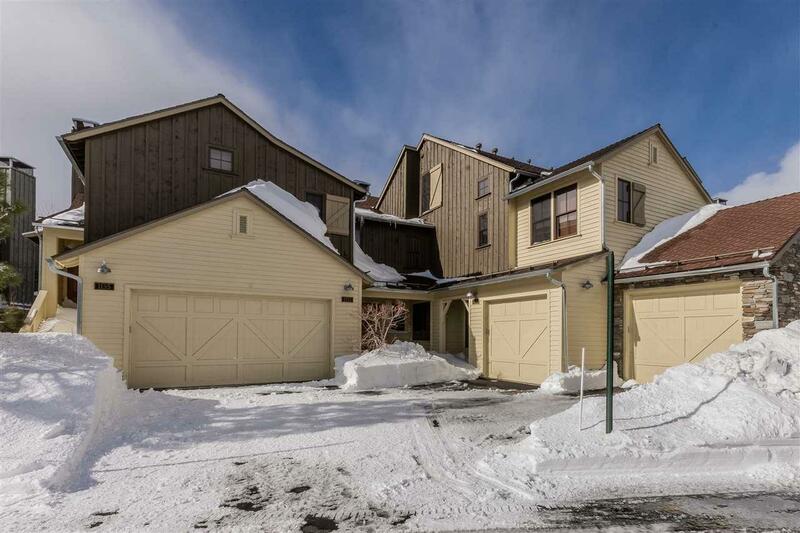 This spacious and bright 3-bedroom / 3.5-bathroom, 2-car garage, townhome offers south-west views, privacy, comfort and elegance. The property is sold furnished and turn-key ready for you to start making memories! 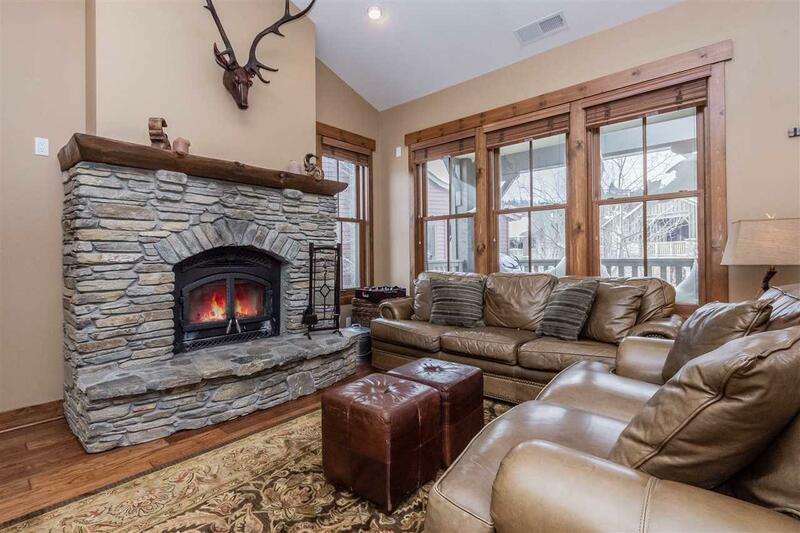 Imagine coming home from a day on the mountain and sitting beside the roaring fire in your rock fireplace as the snow is falling outside through your large picture windows. In the summer months, enjoy sitting out on your deck while you take in the view of The Sherwins, Mammoth Rock and Mammoth Pass. Or, relax on your downstairs patio as you watch the kids play in the grass. The property backs up to a grassy open space with ponds the perfect play area in the winter, ideal for making a snowmen and forts. 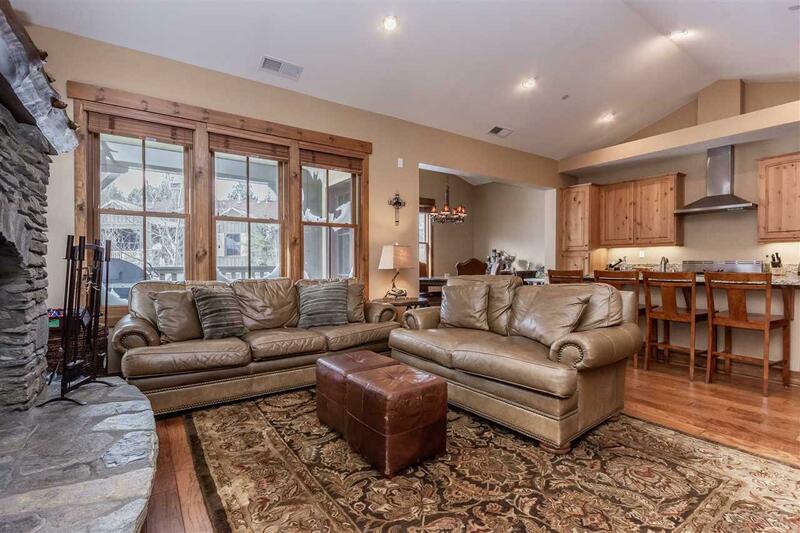 The property features a gourmet kitchen with stainless appliances and farmhouse sink, wood floors in the great room, knotty alder cabinetry and trim, tall windows and doors and tons of storage including private, secure owner storage. At 2,059 sq. ft. of living area, there is no shortage of space and everyone is sure to be able to spread out. The tall ceilings, windows and doors all enhance the feeling of openness and spaciousness. The 2-car garage is the perfect place to keep your vehicles and toys out of the weather and has space for additional items such as skis, boards and bikes. There is also additional guest parking adjacent to the property. Each bedroom is spacious and has en-suite baths and lots of storage. The outdoor hot tub is just a short walk away and sits right on the Snowcreek golf course the perfect place to recharge after a day of fun and an ideal place to enjoy the million dollar views. The vaulted ceilings, rock fireplace and wood mantle in the great room are the ideal reminder that you are in the mountains! 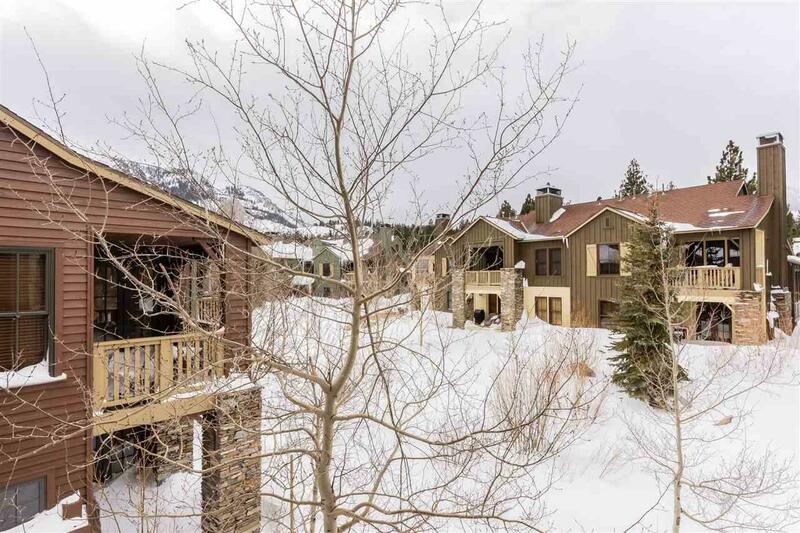 This two-story home is sure to suit your needs offering quality workmanship and design, privacy and tranquility, all in one of Mammoths most sought after neighborhoods The Lodges at Snowcreek Resort. Listing provided courtesy of Larry Mckee of Century 21 Mammoth Realty.